With the Nougat beta period wrapping up for the Samsung Galaxy S7 and Galaxy S7 Edge prior to 2017 kicking off, word out of SamMobile suggests that the stable Nougat build is now ready. Users in the beta program were told to expect the update at some point in January and Samsung sure seems to be keeping their word. Actually, as a bonus for beta users, they have been given first access. As far as we can tell, the update hasn’t arrived to beta users in the US (we checked out own phone seen above and got nothing), but is showing up on the phones of our friends across the pond. The update weighs in at roughly 214MB and is still just Android 7.0, not Android 7.1.1. However, it is the January 1 security patch, so that’s at least something. 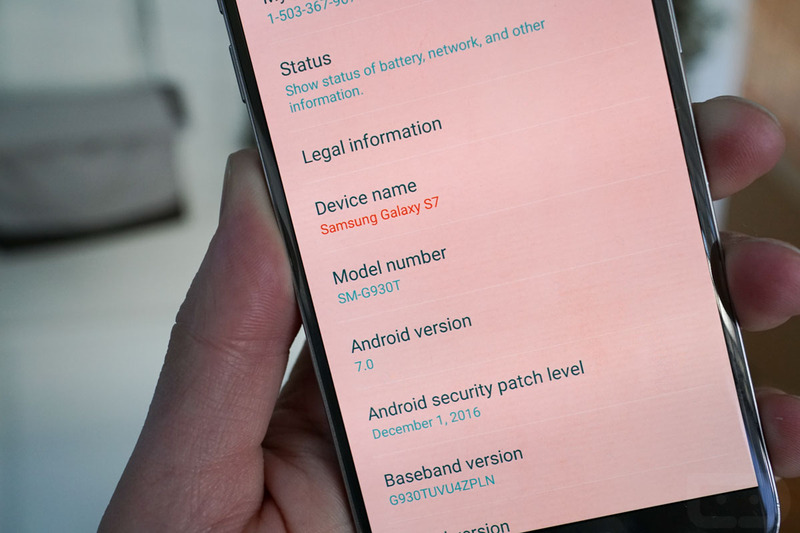 Once we see the update on Galaxy S7 phones in the US, we’ll be sure to update you.